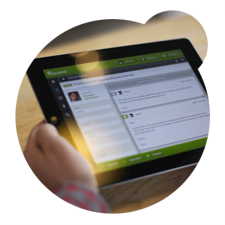 Zendesk®: Build better relationships with your customers. Powerful, yet simple multi-channel customer service software. As a trusted Zendesk® implementation partner, L&L will help you maximise your investment in Zendesk® and ensure that it is implemented and fine tuned to your intricate business needs. Or read below about our Zendesk integration services. 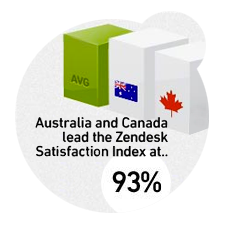 go-to experts for Zendesk® in the Australasian region. Our track record in the region is second to none, having delivered successful Zendesk® implementations for the telecommunications, retail, fashion, group buying, e-commerce and IT industries. Centralize all your customer conversations so nothing gets ignored and everything is searchable from one place. Easily organise, prioritize and engage with others on support requests to ensure your customers get accurate and timely responses. Unleash a vibrant online community for your customers, employees, and partners. Give your users the power to find answers and create conversation by building discussion forums and a knowledge base in your Zendesk. Enable conversations via multiple customer support channels -- web, email, phone, Twitter, Facebook, iPhone, iPad, Android, BlackBerry, Windows Phone, online chat, community forums, knowledge bases and more. Improve your organization's support operation by effectively measuring team and individual performance, alongside customer trends. Create a seamless user experience by easily customizing your help desk to match your brand's look and feel. Extend your customer data and conversations by integrating your Zendesk® with key business tools. Over 90 out-of-the-box integrations along with our robust, open API make it easy to connect Zendesk® to your other critical business solutions. Not sure how to get started? Our consultants can meet with you on site and review your existing business processes and make recommendations on the path forward. How does Zendesk® fit into your overall customer support picture? How will staff interact with the system? What existing systems does Zendesk® need to interface with? What sort of reporting and ongoing management is required? We’ve implemented Zendesk® for our clients across a range of different industries, so have the expertise to ensure the system is tailored to your business’ unique requirements. 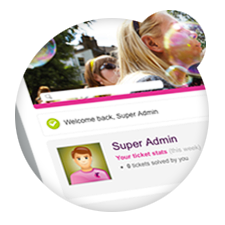 "Extend the Functionality of Zendesk®"
The beauty of Zendesk® is that if your business has a custom need or requirement that is not available out of the box, we can use the application framework to develop an extension to suit. Migration: "Fast Track to Zendesk®"
Our team has the experience and know-how backed by a complete methodology and toolset to help you migrate smoothly from your legacy help desk to enable you to take advantage of all of the great capabilities Zendesk® provides. 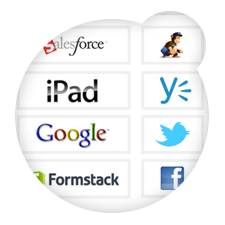 Zendesk® has over 90 current integrations, including Salesforce, Google Account, JIRA, Yammer, Get Satisfaction, Mailchimp and more...http://www.zendesk.com/why-zendesk/integrations. Lovestock & Leaf can identify and implement the necessary applications as required by your business and ensure that any existing systems that interface with Zendesk® be seamlessly integrated for maximum efficiency. Whilst Zendesk® comes with standard reporting out of the box, if you require more detailed and sophisticated analytics then we can assist in implementing GoodData (Free on Plus & Enterprise Plan). GoodData comes with Zendesk® Support Analytics and incorporates the best practices from more than 800 helpdesks in a pre-built dashboard. If you need custom reports, our expertise in GoodData means that we can take your business requirements and tailor Zendesk® and GoodData to produce the reporting that you need.